The days of as low as 3.5% rates are over. Mortgage interest rates are expected to rise to close to 5% during the year 2017. In comparison to 16% rates only 10-15 years ago, 5% should still create a viable market. However, this change in rates is expected to have the most effect on the large amount of millennials that will become first time home buyers. 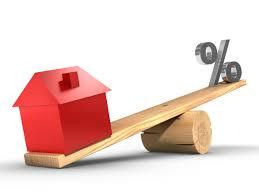 The effects of rising interest rates are caused in conjunction with low inventory. Many of the houses on the market are resale, not new construction. It is predicted that inventory will still be low in 2017. This is because homeowners with low mortgage rates are going to be less likely to move if a new house comes with a higher interest rate and they are sill at the same level of income. Income growth could change this outcome however so it is something to watch. Inventory and affordability go hand in hand according to the law of supply and demand. With rising rates and low inventory, affordability will continue to be an issue for large markets. Supply will be scarce and demand will be higher, so prices will go up (good for people who want to sell). As a buyer, you can make up for the effects of rising rates. Home buyers can look for lower-priced homes, can put more money down, or change the term length on a mortgage fixed-rate component.